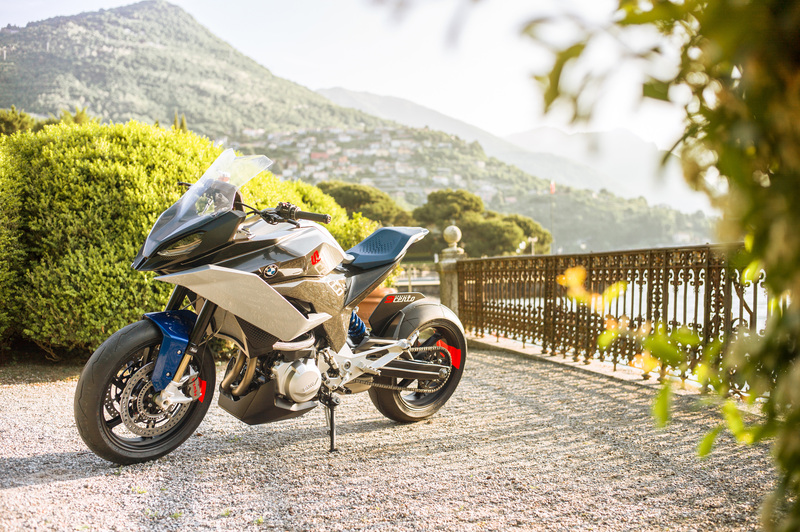 With its new exciting Adventure-Sport model "Concept 9cento" (nove cento), BMW shows how the ideal motorcycle for all areas of use (Sports, Adventure, Touring) could look. 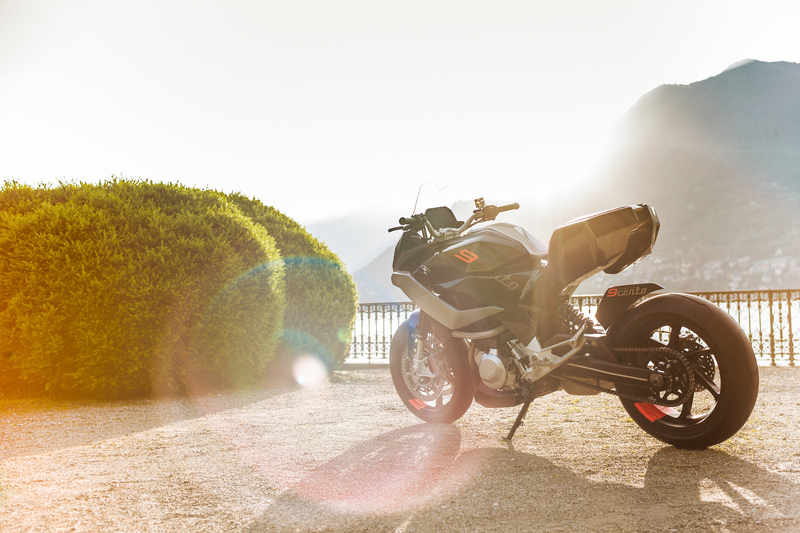 The focus of the manoeuvrable motorcycle is on a good balance between appropriate power, reliability and driving pleasure which makes the Concept 9cento a real modern all-rounder for the new mid-range segment. The compact silhouette promises agility and easiness while the lightweight construction and the low total weight of the motorcycle provide more dynamism. 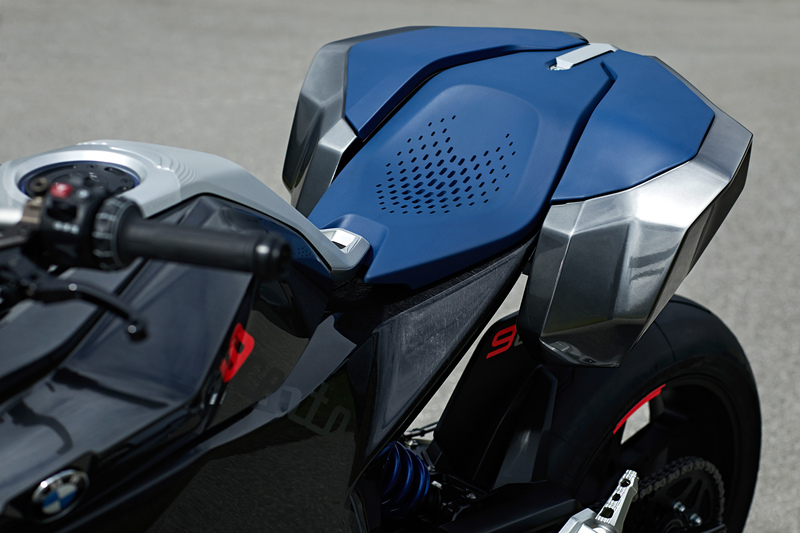 It is worth emphasizing the innovative clip-on pannier system which enables high flexibility and extends the sitting surface for the passenger. Thus, the pannier system transforms the bike, which is oriented towards meeting the rider's needs in terms of riding fun, into a real touring vehicle for two people in an instant. 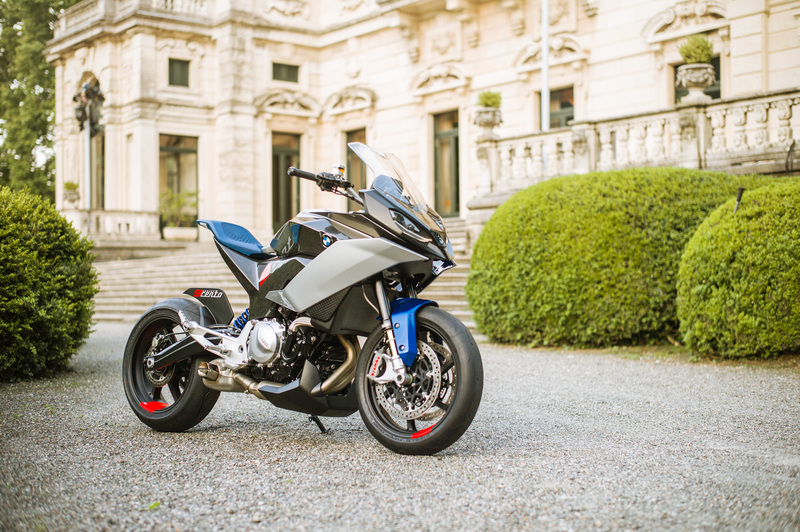 The front and the back of the motorcycle are equipped with striking lights capturing the essence of the BMW Motorrad Concept 9cento in a nutshell. 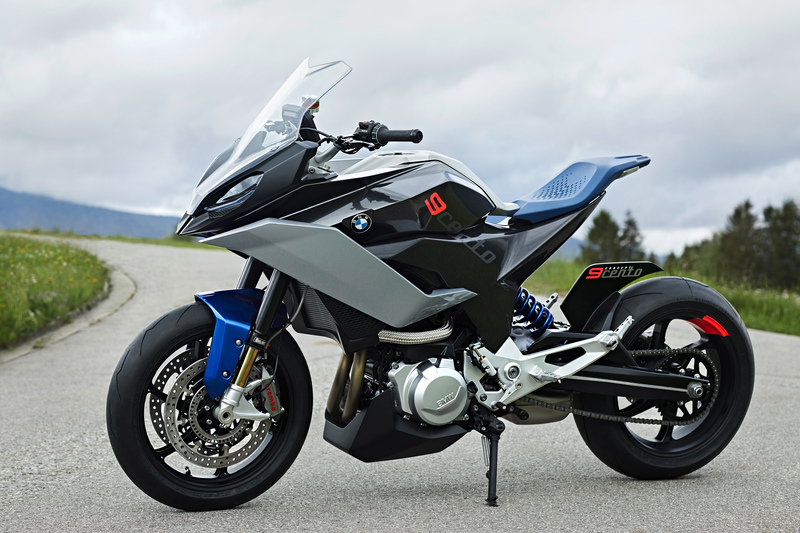 In general, the visual appearance of the BMW Concept 9cento is very similar to the BMW S1000XR. 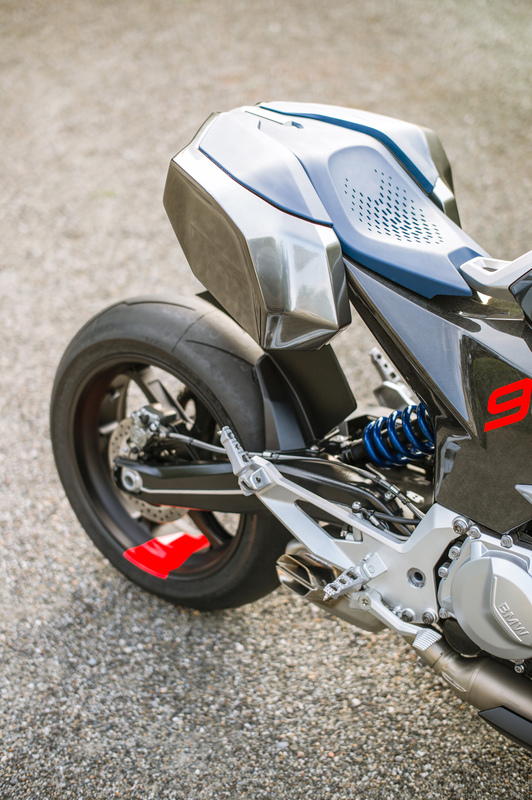 Probably, there will be a new serial model named BMW F900XR or F850XR in 2019, which makes the similarity of the front fairing of the Concepr 9cento and of the S1000XR reasonable. This planned new serial model will probably be equipped with a 850ccm two-cylinder in-line engine with a maximum power of 95 HP. Just like the S1000XR, this new "XR of the mid-range segment" will also be classified between Enduro (GS) and Roadster (R).